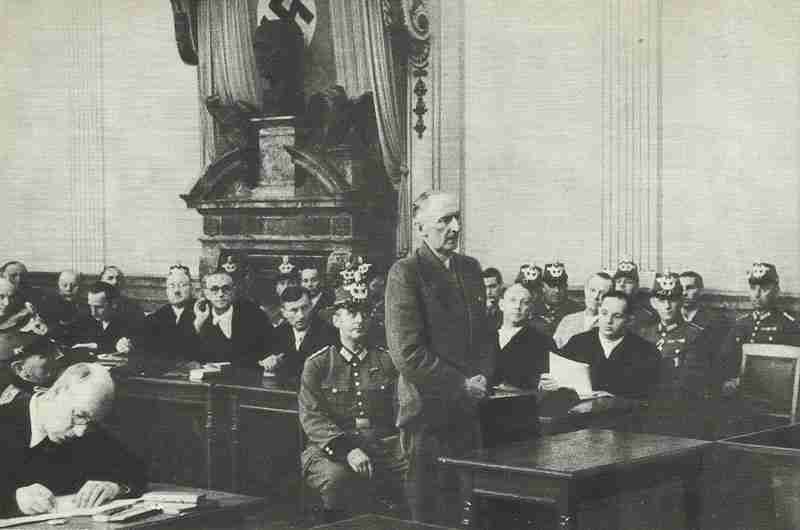 Field Marshal Erwin von Witzleben at the hearing at the People’s Court. Canadians push towards Falaise, supported by 600 US bombers. F.M. von Witzle­ben and 7 other ‘July Plotters’ executed by slow strangulation at Berlin’s Plötzensee Prison, after being sentenced to death by ‘People’s Court‘. Floating dock sinks at Trincomalee; battleship ‘HMS Valiant‘ seriously damaged.